As a followup to a recent tweet about OneNote, I just wanted to say: I miss you Notebook Creator! What brought this on? The short version? I moved. Moved to a school that is a Google Apps For Education school. That, and as I have been going through the ISTE presentations – goodness there are a lot! – I have seen many for OneNote. The thing is, I could easily, and happily, present on the benefits of OneNote for the classroom. I would love to be sharing this knowledge here at home as well. I truly have not found any tech tool as versatile and useful for my classroom. Having lost it as a tool, and moved to a school that has a slight anti-Microsoft taint, has been really hard. I have also found that a lot of folks don’t know that all of the Office suite can now function just like a Google Doc – online and shareable. The don’t know how much more versatile OneDrive is compared to Google Drive and how Classroom Notebook Creator works. What they do know is that Office for Education costs, and costs big. It would be nice if Microsoft took a clue from Google in this regard. And while the Google stuff works well, especially for the little ones, when it comes to the older students and staff I feel Office is the way to go. Ideally, as in my last school, you would run both, thus exposing students to more choice. Empowering students to try new ways of doing the same old thing is key in student engagement. Who wants to use the same old Slide when you could try it in a new style, or Sway or Prezi? So if you are at ISTE I’ll be the guy walking slowly past the OneNote presentations, a small tear running down my cheek as a long sigh escapes my lips. Who knows, perhaps they’ll be selling those cool purple t-shirts? So I got my classes set up and going in their new notebooks created by the Classroom Notebook Creator – what a difference! You can tell this is a new product as there are a few things that could be improved, however, it is so much easier than the old way of having students create their own notebook and then sharing it with me. For those of you that may not have used Classroom Notebook Creator, it allows you to create a three-part notebook for your classes. Part one is the Collaboration Space: An area that students and teachers can all access and collaborate in. Part two is the Content Library: This is where the teacher can put any materials that they want their students to have. It can not be modified by students, only copy and pasted into their individual sections (sometimes – more on that in the Cons section below). Part three is the student’s notebook: This is a space only you and the student can access. 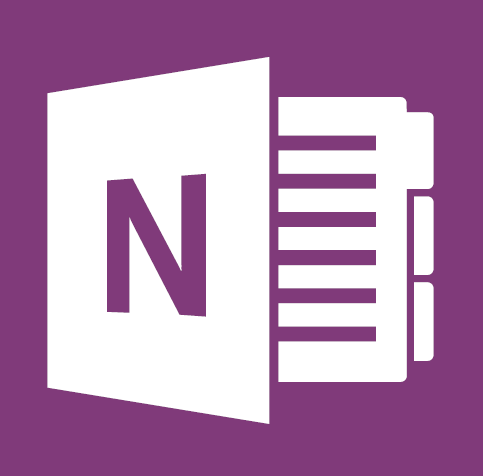 Setting up the notebook is a very simple process that takes very little time, and at the end you get a link to send to students that when they click it, it automatically opens their notebook – if they have OneNote, if not you have to modify the link – more on that below. From that point they can see the Content Library, Collaboration Space and their individual Notebook. From the teachers point of view you see the Content Library, Collaboration Space and all of the student notebooks. The folks at OneNote have really outdone themselves and made something that is very useful for teachers and students. Everything is in one place for the students and adding material, feedback, comments, etc. for the teacher is very easy. Setup is a breeze! As long as your OneNote Classroom Notebook Creator App is tied into your schools network database it will automatically pull up your students as you start to type their name or student ID number. Cross-platform, Online or Offline, even on your phone, access is so easy. When you are grading student work you have to click the “Navigate to Parent Section Group” green arrow to get back to the list of other students. It would be nice to have the drop-down list of student notebooks from every level of the notebook. The link that is generated for the notebook has a prompt that wants to launch OneNote, to provide students a link that opens their notebook online you have to remove the prompt from the beginning of the URL. Perhaps generating both links when the notebook is created would be useful to folks. If students are using their notebook in OneNote Online they can not copy/paste material from the Content Library to their individual notebook. This is a HUGE problem for students who do not have OneNote at home, or, as in the case of some classes in my district, they only have Chromebooks and therefore can not get OneNote. In summary I really like the functionality and easy of use/set-up of OneNote Classroom Notebook Creator. More importantly the students find it much easier to get work from the Content Library then the old way of having to download and then merge documents. I too find it easier to pass out papers through the Content Library – though the inability to copy/paste in OneNote Online needs to be addressed. One last thing I wanted to mention is the ease with which new students are added, just open the app, tell it which notebook and the name of the student, and they are in. While I have not met the team that created this app they obviously had the educator in mind when they did. To them I say thank you! So I have just set up my classes using the new(ish) app from Microsoft: Classroom Notebook Creator. And I have to say, I could not be happier! They most definitely do not oversell the ease with which a set of class notebooks can be set up. In my case I have four classes that each needed a notebook. I simply started the app and got under way. As it is linked to our district email system I could simply enter the student ID numbers and it would pull their information and add them to the class. I decided not to use their suggested student sections for my classes and made new ones, one or each unit of the course. The only slow part of the process is when it is creating the notebooks, but that was not too bad. From there I chose to take the share link and put it on my class website. Any time a student wants to access their notebook they visit that page and it will open their personal notebook (after signing into their Office account) – two minutes tops! Should they choose to stay in the OneNote Online version they can, or they can open it in OneNote. Adding a new student was equally easy, in fact I added one and copy/pasted over the work he had missed from the Content Library into his notebook in less than a five minute passing period. The reduction in time for me, whether it is in setting them up the first time or in adding content is so much faster than before. I really can’t think of an easier way to make using OneNote in the classroom. Am I gushing? Well, it is worth it! November 11, 2014 2:46 AM / 1 Comment on Voice Grading…”Say” What?!?! My students made a Colonial Era newspaper that had four parts: An opinion article from King George III, and Editorial, a Traveler’s journal about experiences with everyday colonial life and a Letter to the Editor. They wrote the articles in a template I provided in OneNote so everything was in one place and it looked like a newspaper. To grade the articles I had to use the following steps – which sound complex and could be significantly shortened if my district would adopt OneNote Classroom Notebook Creator but be that as it may it was still not too bad. Click the link that students previously emailed me that allows me to open their notebook – NOTE: this link, to work for step two, has to be generated by the File > Share > Invite People method. Open their notebook in OneNote Online and then click the Open In OneNote option. Read their articles and make initial marks to the documents using the Draw tools…I’d love to have a Surface Pro 3 for this step, let me tell you! I like the highlighter so I use that and then click at the top of the page. Doing so inserts the audio file in step 5 at the top where the student can easily find it. Go to Insert > Record Audio and narrate my observations to the student. I re-highlighted my previous marks while doing the recording. This way when they play back the recording OneNote automatically highlights the point at which I am speaking in relation to what I marked. This last point is one that I would like to particularly emphasize. When my students click on the audio file and it begins to play every mark I made while talking is automatically selected and highlighted so that the student knows that that particular point is what I am talking about with out having to guess where I am referring to. In addition, every individual mark has a separate Play button so that they can refer to that specific edit without having to listen to the entire recording. This is quite simply one of the most powerful student-feedback tools I have seen. And to be blunt, those who advocate Google Docs have nothing that even comes close to matching this level of student involvement in self-evaluation. So, to wrap up, this went really well, I felt that I could convey a lot more information than I would have with written feedback, and the added benefit of inflection and vocal emphasis makes the feedback that much more effective. I have had many student tell me that they preferred this to the norm of hastily scribbled notes. My only wish would be that when they access it fro home in OneNote Online that the playback would work in the browser rather than having to be downloaded – which also drops the highlighting feature during playback. September 29, 2014 2:13 PM / 1 Comment on Never-Ending Notes! No, I don’t think notes should be never-ending, good god the tedium! However, note taking is a part of education, but it doesn’t have to be limited by the size of your sheet of paper. It can be quite frustrating to run out of space on your sheet of paper, especially if you are limited to one sheet. In our school we use a lot of Cornell notes templates, but the students get frustrated when they run out of room on the sheet. Or worse, they are taking notes in those silly comp books, that sheet is what, 8″ x 10″, 6″ x 8″? Who can fit even a section of notes from the textbook on that? So then they tape a new page in place which involves trimming down a full sized sheet of paper, getting tape and figuring how small to trim the 81/2″ X 11″ sheet. That is a lot of wasted time. So what is the solution? A never-ending template that looks like Cornell notes, but each section expands to fit the needs of the student. So while it looks like a sheet of Cornell notes, it has no limits. There is a template example on my class resources webpage (scroll to the bottom and look for Cornell Notes with Directions.one). Naturally you could make one of these for any style of notes, or the students can make their own, I did this to support our schools’ AVID program. Feel free to download my template and share it with your students! And as always, please pass my site on to others who might benefit, like me on Facebook and follow me on this site or on Twitter @BroadenEdu. OneNote is great in that you can put just about any file in it, work with it, and in some cases even have it as a part of the notebook (Excel leaps to mind as one that is amazing in OneNote). But then there are pdf’s. Yes, they drag and drop, and you can open them, you can even have them Print to OneNote and it will insert as a printout – thought the resolution is poor. So if I have a great resource I want to use, and have my students be able to work with what do I do? Well, here is my solution: The pdf in question was three pages long, with short readings and a question or two that went with each question. As the students could not easily, or clearly, write on the pdf I took screen shots of the individual sections and placed them in a table. At the bottom of each cell I added a “Answer:” prompt. As this is in a cell it will automatically adjust the size of the entire document to accommodate their answer for each section. Once I have the master sheet finished I exported the page as a Section and attached that to my website (you could also put it in a shared folder). When the students click on the file it will open in OneNote in the Open Sections area. From their have the students right-click on the section tab and select Merge into Another Section – pick the appropriate location in their notebook and you are home free! For the How-To I made for my students please click here. For those of you who are visually oriented I have started making short videos that accompany some of the topics on the site. They are located under the Video tab at the top of the page or you can go directly to the YouTube page through the icon on the bottom-right side of the banner. So far I have one for creating a notebook and one for sharing the notebook. These are meant to be quick overviews. There is a lot more that could be discussed in each one, and should there be a request for something specific I am happy to oblige, just make a comment below or email me. 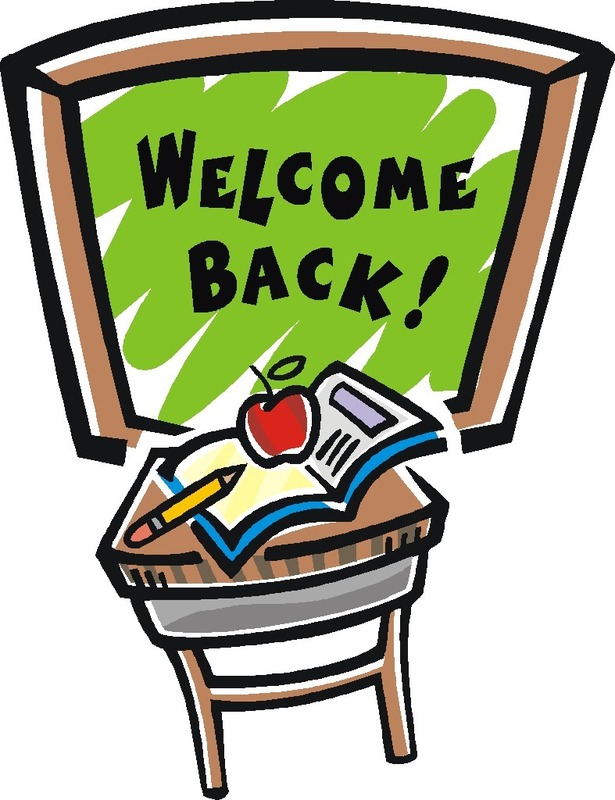 So, it is the big day, at least in my class, and it is time to get students into their notebooks. What did I do to get to this point, you ask? I found a couple of students, they could be student aids, kids you have a good relationship with or just a couple of kids who happened to be in study hall without a lot to do, and tested the setup and directions on them. Why use students and not just test it on your account? Well, I would guess that just about every school in the world has different permissions for teachers than it does for students. On more than one occasion I have said to a student: “Well that worked for me…”. So now I use their accounts to test things, as long as they are good with it. So, in my district there are still a few kinks to work out on just how students will get to OneDrive, but we did find a work-around, and wouldn’t you know it, that was OneNote! + = Your Digital Interactive Notebook in OneNote! Because OneNote automatically syncs to the web it wants to establish a connection to OneDrive. Now, while it would not connect to OneDrive the first time we opened OneNote (the account type was not recognized) it will open anyway. 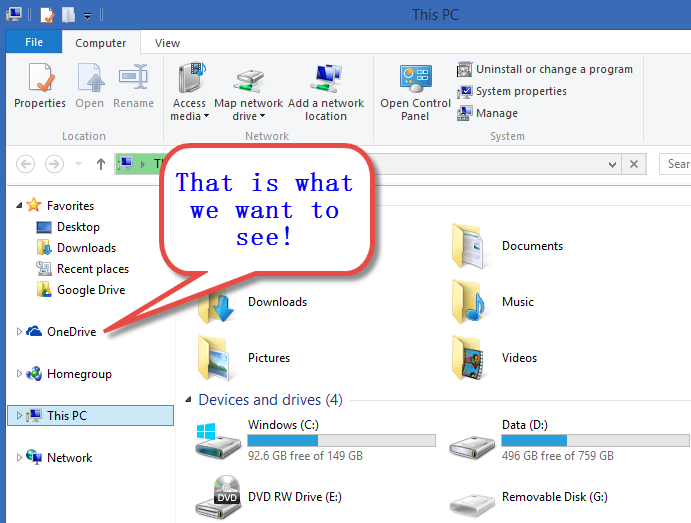 At that point we just created a new Notebook, and because this is a district machine, on a district connection the district OneDrive was available. From that point we were in, and now students could access OneDrive because it identified the student’s account based on their OneNote notebook. So, that was way too much detail, and chances are your setup could be much different, but the take-away from this is that it is always best to find a student or two that you can do a little trial and error with – you’ll be glad you did when you are trying to do it with a class of 30! Now that the students have their DINO we are ready to get down to the nuts and Boltz (that is my school – couldn’t help the pun) of daily classes in DINO. If you have questions on how I got them up and running, classroom techniques for getting 30+ kids logged in at the same time or anything else please post them! Well, the school year is getting underway and you want to set all of this up, but how? Great question! A lot of folks prefer to begin with a paper and pencil Interactive Notebook and then as the year moves on they make the switch to a Digital one. I have done this in the past and it works really well. There are a couple of advantages to this. First, and most importantly, this gives you a chance to assess your students and their abilities. Will they be able to handle using a computer this much, do they have special accommodations, what skills do they (or don’t they) have? Secondly, you can assess your school’s tech. This is almost as important as the first consideration. Do you have OneNote? Does it need to be added? HINT: OneNote is free! And, while it comes with Office automatically some school tech departments do not install it in order to save space in their image. If this is the case you can use what you learn here to make a strong case for adding it back in! Lastly, you may need time to walk through the steps of setting up your instructions and, if necessary, your shared server folder (more on this in a later post). OneDrive via a School Account: Do your students have the ability to save/access the OneDrive that allows OneNote (and all other Office programs) to save to the cloud? If so you will have them share their notebook with you and viola! you are good to go! Directions for this will be in a separate post. The easiest way to determine if their student accounts have access to OneDrive is to either look in their “My Computer” and see if it is there. If you don’t see it I would suggest you still ask your building / district tech department. It may be that it is available and just not active. It is worth the trouble. Having student access to their OneDrive is by far and away the most ideal situation! Private OneDrive / Live Account: If they do not have access to OneDrive via a school account you can try to get them signed up for a Microsoft Live account. This would seem easy enough, simply go to www.live.com and begin the New User procedure. However, there is a catch. Your students must be 13 years old or older. If they are not I recommend getting admin and parent permission for them to sign up. Potentially there is another issue, one that I have run into in the past. Some districts do not like the idea of students accessing cloud storage that is out of their control. If this is the case you may find that access to Live.com is, or will become, blocked. If this happens you will have to move their notebooks to a local server (if they give you time to do so before blocking access) or you will have to start over. I consider this option the least desirable of the three options. Shared Folder on the Local Network: With a little help from your tech department you can set up a folder that has permissions such that student’s OneNote notebooks can be written to and shared (see screen shot below). This is handy, but not ideal. 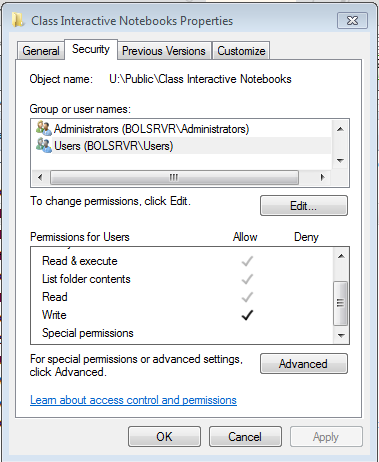 It means that a student can not access the notebook from off-site, and should they wish to access it from on-site at a computer other than their normal one, they have to go to the folder and open it from there. And, should you have a student inclined to mischief, they can open other student’s notebooks and prowl around in them, or worse. They can, however, share them with you which allows you to see and provide feedback to them. So, once you think you have determined what means you and your students will use to create your DINO’s (Digital Interactive Notebook in OneNote) you are set to go! In up coming posts I will be talking about the initial launch, great get-to-know-OneNote activities and some resources to help you get to know it as well. I’ve said it before and I’ll say it again, once you DINO you’ll never go back! 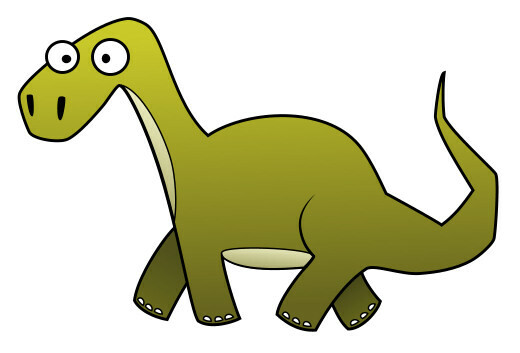 Simply put DINO stands for Digital Interactive Notebook in OneNote. There are lots of interactive notebook options available to teachers today. And, what really pleases me is that more and more teachers are exploring these options. They are a great alternative to pencil and paper notebooks…when grading time comes, they are a whole lot lighter too! Some folks like to use a wiki, which is nice for written content and attaching files to but can be cumbersome when formatting and sharing plus the learning curve for students can be steep, especially for younger kiddos. Similar issues hold true for other types of sites, such as Google Sites. I used Sites for years with both my middle and high school students. However, both my students and I found that they can be very limiting, especially in the formatting and file management areas. My other frustration with Sites was that it seemed that the interface and the server settings were continually changing, necessitating time consuming re-learning for the students and re-creation of instructional materials like screencasts and screenshots on my end. There are also some companies, notably TCI, that have a dedicated digital interactive notebook. Some of these are quite good, and are specifically designed around their content. The downside is that they are not free, and should your district have it, the next one you work at may not. Personally I love TCI / History Alive and use their material all of the time, but I have adapted it to work in DINO. I believe that using OneNote is the most flexible and intuitive way to create a digital interactive notebook. As you will see in future posts adding content, any content, is as simple as dragging and dropping, commenting on student work can be done at any point on the page (not just in a comment box at the bottom of the page), sharing is as easy as entering an email address, and should your school have tablets students can use the powerful OCR to write and illustrate anything – lab reports and math problems come to mind, but why not art projects and shop class designs? These are but a few examples of what can be done, and will be shown here in the future. So keep checking in, or like this site and you’ll be notified automatically. Please pass this along to anyone you know of who might be interested creating a digital interactive notebook, they’ll thank you later!